A unique programme at Birmingham City University, designed to support and develop the skills of high achieving students, has won a national teaching excellence award. 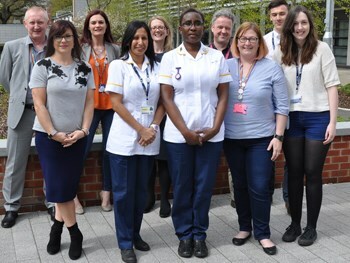 Following a rigorous peer review and selection process the High Achievers’ Recognition Scheme (HARS), based in the institution’s Faculty of Health, Education and Life Sciences, has won one of the 2018 Collaborative Awards for Teaching Excellence (CATE) awarded by the UK’s Advance HE agency. HARS is a developmental programme focussing upon advanced academic skills, leadership development, community engagement and international student mobility. The High Achievers’ Recognition Scheme is open to all eligible students who achieve good academic results, and to those who have made significant educational progress whilst studying at Birmingham City University.